Second hand machinery sales were buoyant with European buyers looking to take advantage of the weaker pound supporting the market alongside a shortage of machinery coming forward. Hay making machinery was selling particularly well as usual at this time of year according to Cheffins director Bill Pepper. “The market is still very good. 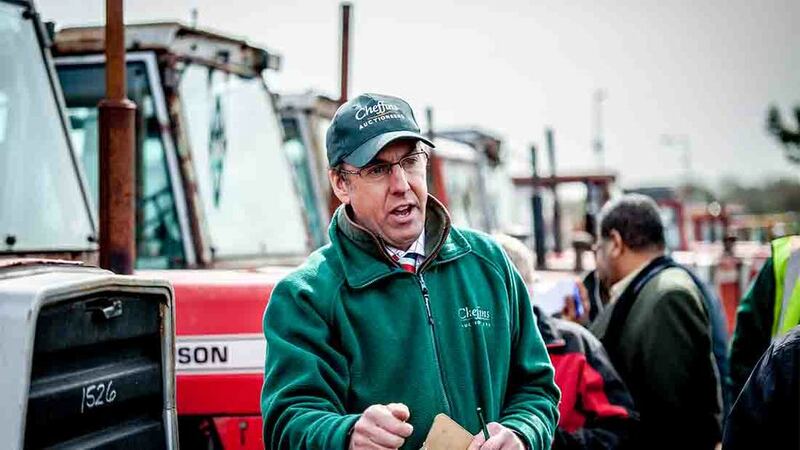 We have had one or two big on farm auctions and collective sales. It is still very buoyant,” he said. There was a ‘general shortage’ of second hand machinery coming forward with people buying less new machinery. Mr Pepper highlighted Spanish buyers, who were particularly keen on John Deere equipment but there were buyers from all around mainland Europe looking to take advantage of the weakness of sterling. Mr Pepper added beside the effect of the weaker pound on export sales, he did not think Brexit was driving farmers to make decisions. “I am not getting any farmers saying we are putting anything in for this sale because we are unsure,” he said. “There is uncertainty. There might be one of two farmers who are looking to sell while things are good. He added looking forward they had a good amount of sales in the pipeline. “I think prices are going to maintain the level that we are seeing currently,” he said.